Huawei P10 is in the works and that's no secret. The P9, which pioneered the dual Leica-powered camera, is now more than six months old, and by today's standards it means the P9 series has reached half its product life. Sure, the P9 has been a bestseller for the company and will continue to be so over the holiday season, but the Huawei's next big thing is already in development. 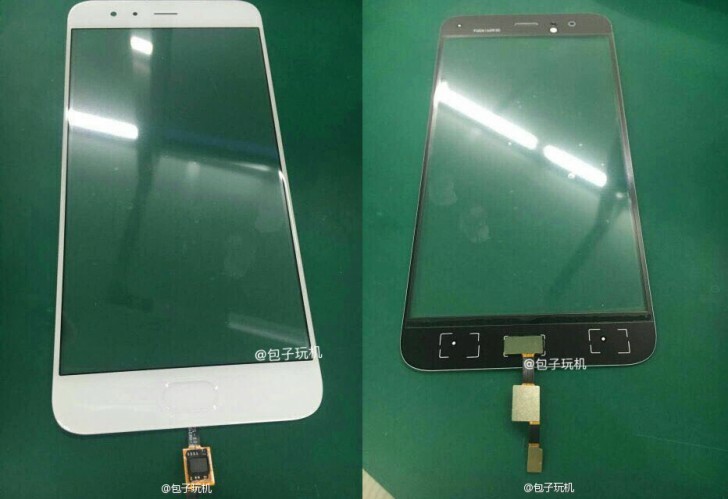 Last week we actually saw a Huawei P10 prototype in the wild and it looked a lot like an Oppo, or better, a Meizu MX6 with those rounded edges and the trending antenna bands design. Today we got two very interesting leaks. First, we got to see the P10's front panel up close and it shed some light on another interesting thing - the Home key and the fingerprint scanner. The P9 had its scanner on the back, while the P10 will be putting it at the front, below the screen. And judging by this new picture, there won't be a key at all. Apparently, the panel is a seamless glass, including the key holder, which means the key will be a capacitive one with an ultrasonic fingerprint scanner beneath. 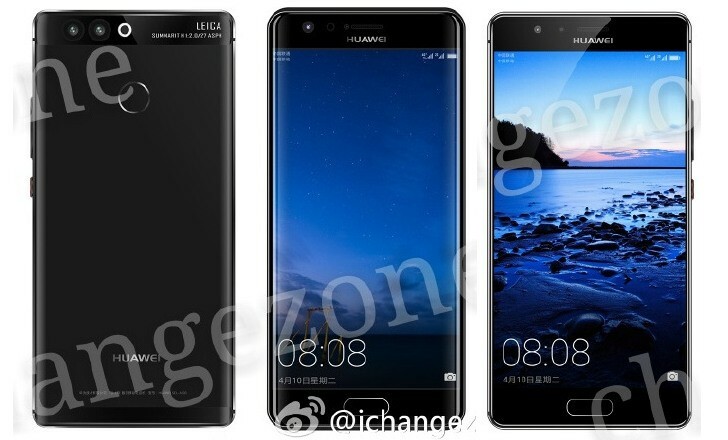 Then we saw the Huawei P10 in official-like renders, which suggest there will be two models - one regular with a flat front glass, and one with a curved display similar to Mate 9 Porsche Design and Galaxy S7 edge. Note that the design is different from the photos above, but the pictured unit maybe a prototype in a design placeholder to shield the actual design from leaking. The Huawei P10 is rumored to pack a 5.5" Quad HD screen and the latest Kirin 960 SoC with 4 gigs of RAM. There is no info whether it will feature the same second-gen Leica camera we saw on the Mate 9, or a new third-gen Leica setup. 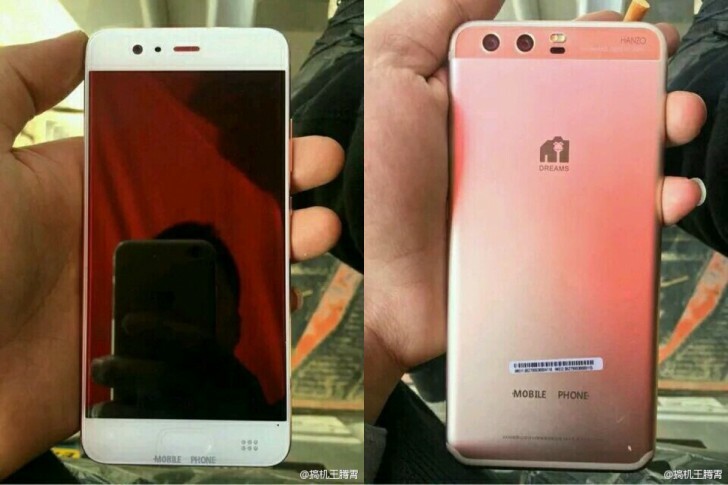 Anyway, the Huawei P10 is expected to premiere in April next year, so everything can change until then. Thanks, Sulley and Steve, for the tips! Talk about a carbon copy of the S7 Edge. P10 mini lite please huawei. Your phone are on par with the expensive sony. Make a model as the xperia compact..please 4.7inch.